Studio Stanley provides branding and graphic design for small to medium enterprises for web and print. I recently travelled with seven of my friends to Mount Athos in Greece to walk on the Holy Mountain and visit some of the 20 monasteries there. It is an unusual place for several reasons, notably that residents on the peninsula must be males aged 18 and over, members of the Eastern Orthodox Church and must be either monks or workers. It has a long pedigree having been an Orthodox spiritual centre since 1054. I am a Christian of the Protestant variety and meeting monks and pilgrims from the Orthodox Church was an illuminating experience. As a result God got that bit bigger! 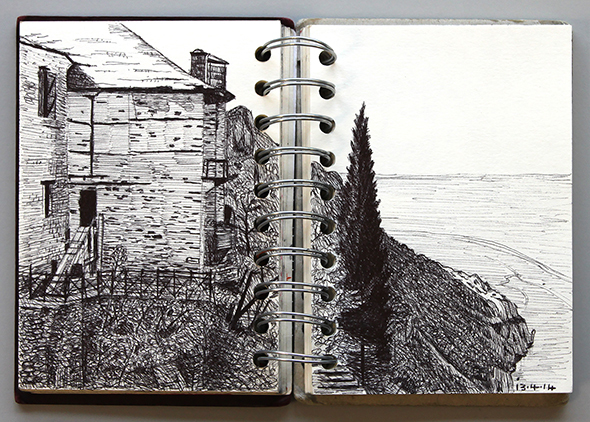 I love sketching while on holiday and have included two of my drawings. 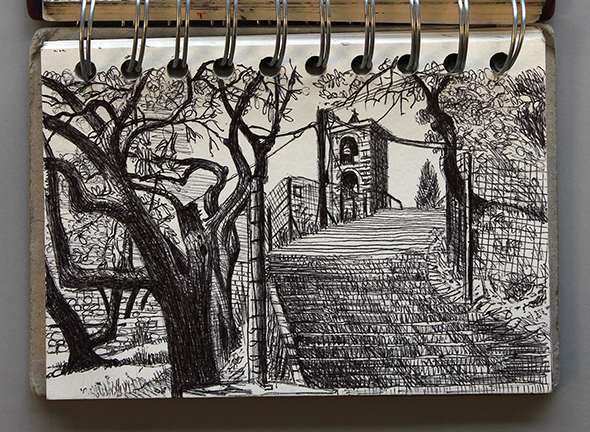 Sketching provides me with refreshing contrast to carrying out landscape commissions. The majority are in biro – I like this medium because of the texture it creates and the rich black it gives you. The drawings are of the Saint George Kafsokalivia Cloister (rather than a monastery). 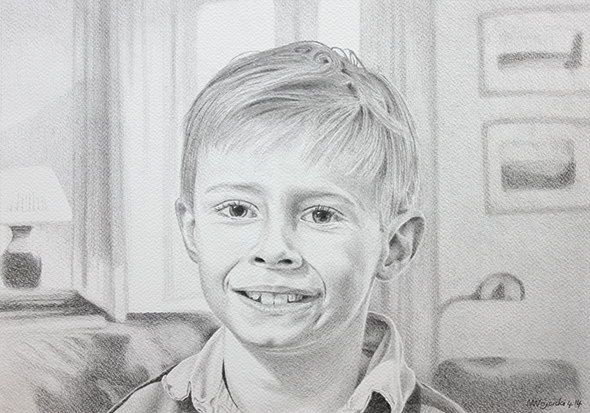 The portrait of Billy is complete and shortly to find pride of place in his parents’ home. I enjoyed working on it immensely and, as promised in my previous blog, have included photos of the second and third sessions. These images are particularly useful as they help me to correct the portrait as I work on it; they give me a different way of seeing it. A portrait makes for a great present as it is unique and will continue to give pleasure for many decades to come.